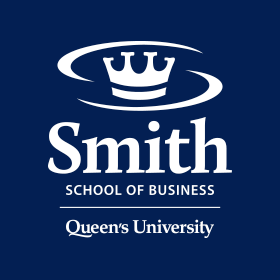 Tina Dacin is the Stephen J.R. Smith Chair of Strategy and Organizational Behavior at Smith School of Business, Queen's University, Canada. She is also Director of the Smith School of Business Centre for Social Impact. She was a member of the University Senate at Queen's University and Former Chair of the Principal's Innovation Fund Committee. Professor Dacin's research interests include cultural heritage and traditions, social innovation/entrepreneurship, and strategic alliances. 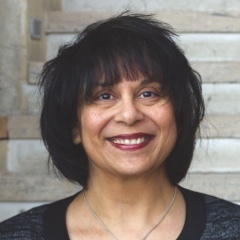 Her work has been published in leading management journals including the Academy of Management Journal, Academy of Management Review, Accounting, Organizations, and Society, Journal of Business Ethics, Journal of Management, Journal of World Business, Organization Science, and the Strategic Management Journal. She has also served as Senior/Consulting Editor for Organization Science, Journal of International Business Studies, Journal of Management Inquiry. She has previously served for multiple terms on the Editorial Review Boards of the Academy of Management Journal, the Academy of Management Review, the Journal of International Business Studies, Strategic Organization and Strategic Management Journal. Professor Dacin teaches courses in leadership, change, and strategy. Professor Dacin advises and speaks to major corporations in the airline, biotechnology, defense, energy, financial services, healthcare, and telecommunications sectors as well as a number of public sector and non-profit organizations. She currently sits on the boards of the Kingston Community Foundation and GRLI, a global advocacy organization for promoting responsible leadership in business schools and organizations. Professor Dacin has received several awards and recognition for research and teaching. Most recently, she was inducted as a Visiting Fellow into Sidney Sussex College at the University of Cambridge, UK and is a Visiting Fellow of the Judge Business School. She has also been a Visiting Professor for several years at the Kellogg School of Management, Northwestern University and the Indian School of Business in Hyderabad, India.